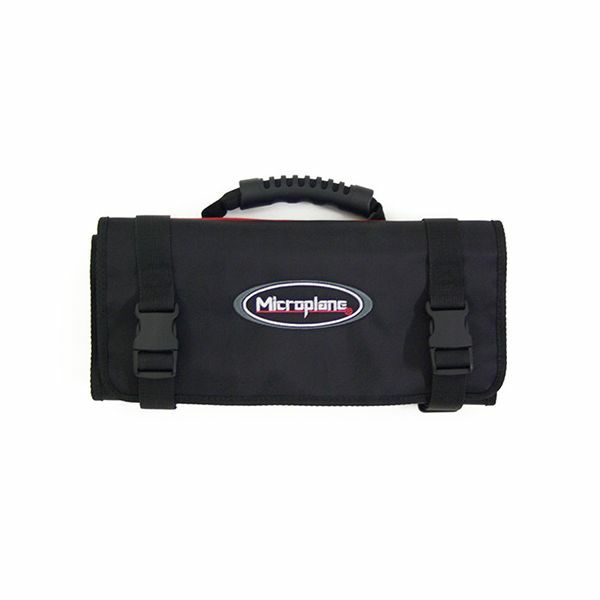 The Microplane Chefs Bag provides durable storage and protection of the Microplane Graters. The elegant and sleek black storage Chefs Bag features a pair of secure clips to keep the bag closed and boasts a sturdy and comfortable grip handle. The Chefs Bag itself would make a great gift for a budding or professional Chef.